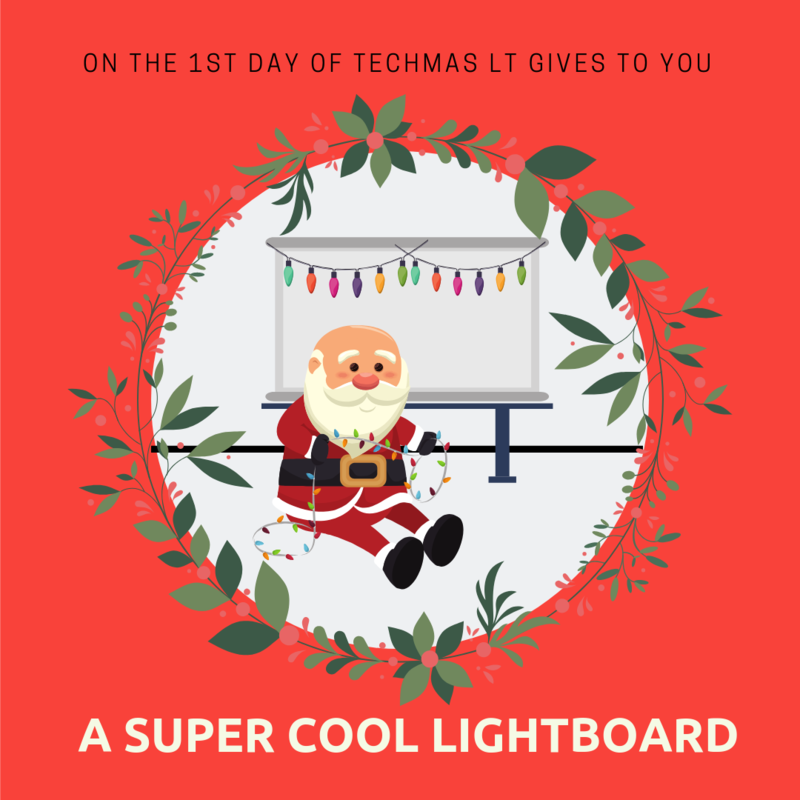 On the first day of Techmas, Learning Technologies gives to you: a super cool lightboard! Wow students with your own special light display by creating an engaging video using our lightboard. Make an appointment with us today and we can help you get started. 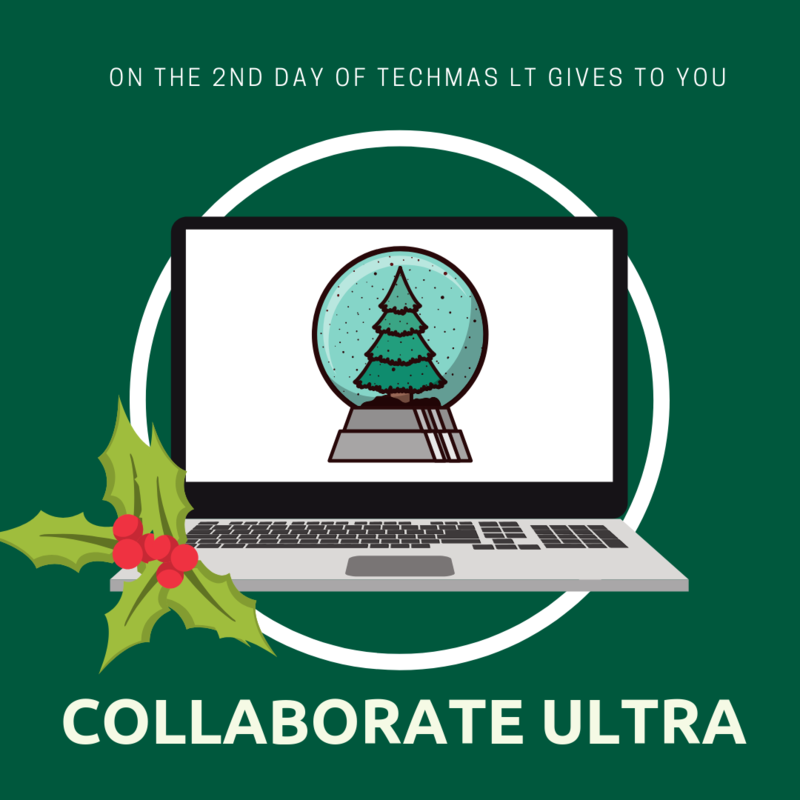 On the second day of Techmas, Learning Technologies gives to you: Blackboard Collaborate Ultra. No need to go over the river and through the woods. Use Collaborate Ultra to host synchronous sessions at a distance. We can show you how! 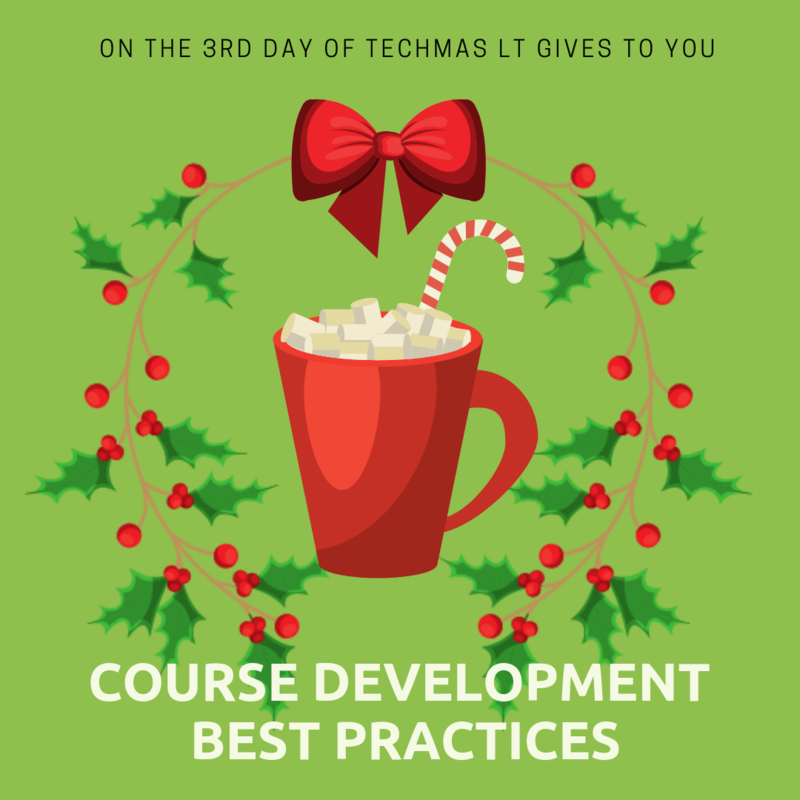 On the third day of Techmas, Learning Technologies gives to you: course development best practices. Give students tidings of comfort and joy through best practices in course development. Get started with our best practices guide. 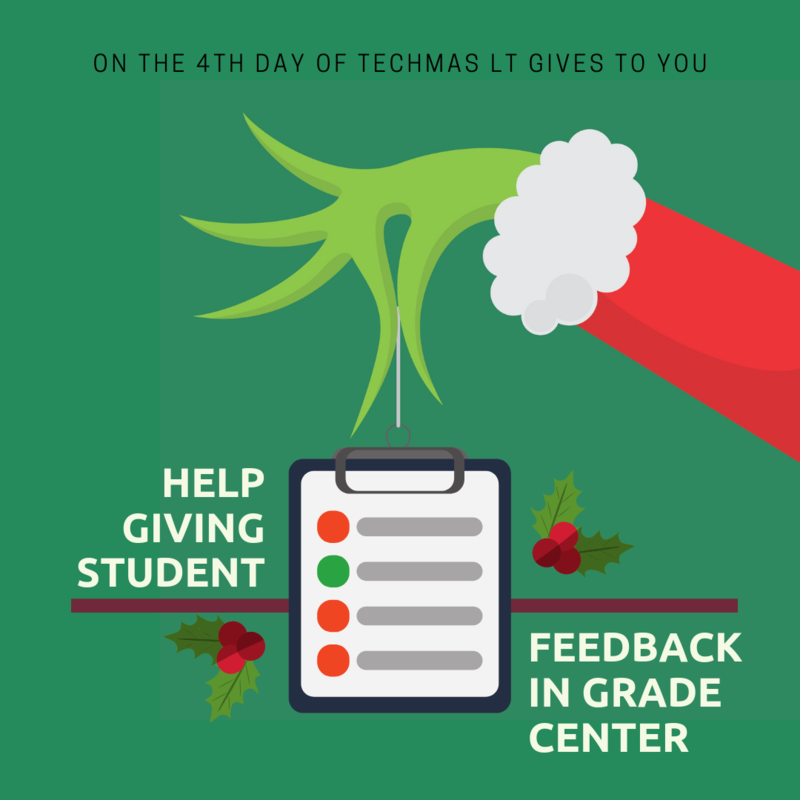 On the fourth day of Techmas, Learning Technologies gives to you: help giving student feedback in Grade Center. Don’t be a Grinch, provide students with constructive feedback through the Grade Center. Learn how with our article on Blackboard Grade Center best practices. 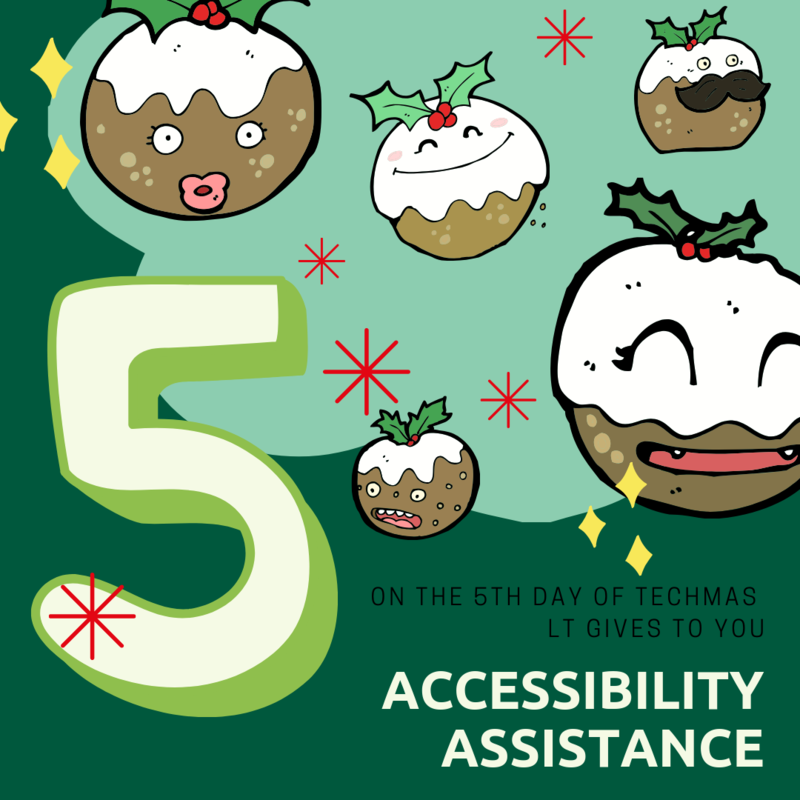 On the fifth day of Techmas, Learning Technologies gives to you: accessibility! Make sure your visions of sugar plums dancing are accessible to ALL students! Learn how to caption your videos and add alt text to your images. 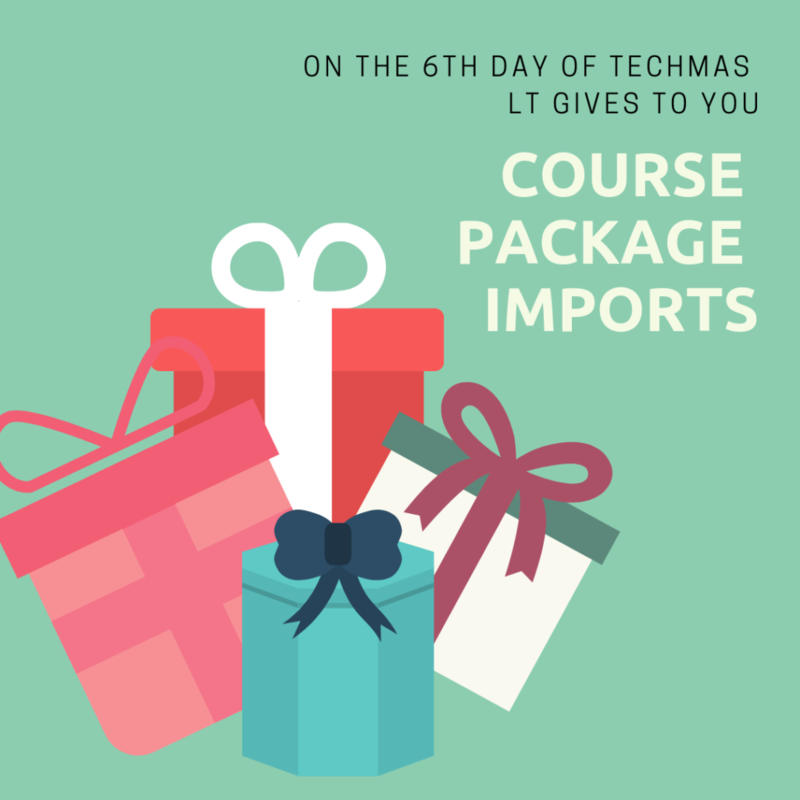 On the sixth day of Techmas, Learning Technologies gives to you: course package imports. Blackboard course packages imported with ease, these are a few of our favorite things! It’s the gift that keeps on giving, so learn how to do it right. 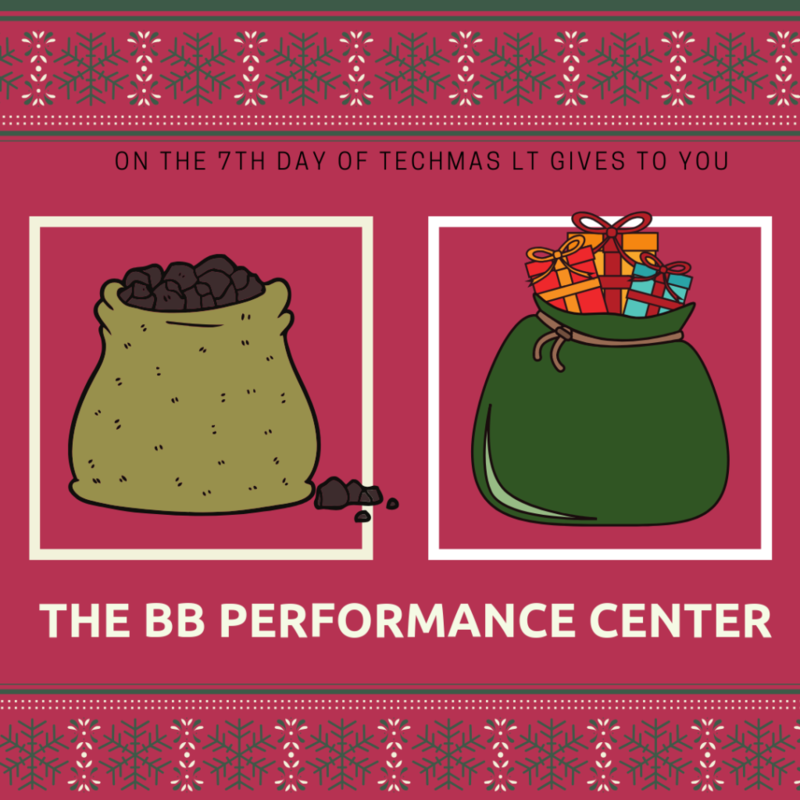 On the seventh day of Techmas, Learning Technologies gives to you: the Performance Dashboard in Blackboard! Are your students naughty or nice? Utilize the Performance Dashboard for a quick overview of each student’s activity within the course. 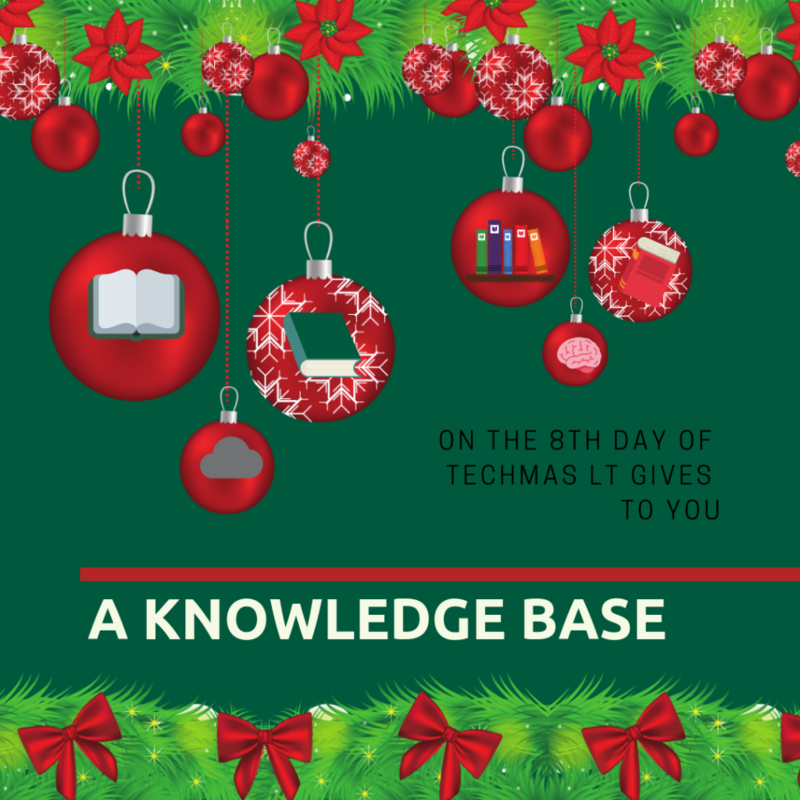 On the eighth day of Techmas, Learning Technologies gives to you: a Knowledge Base. Deck the halls… with knowledge from our Knowledge Base! We’ve got answers to all your most common Blackboard questions and much more. 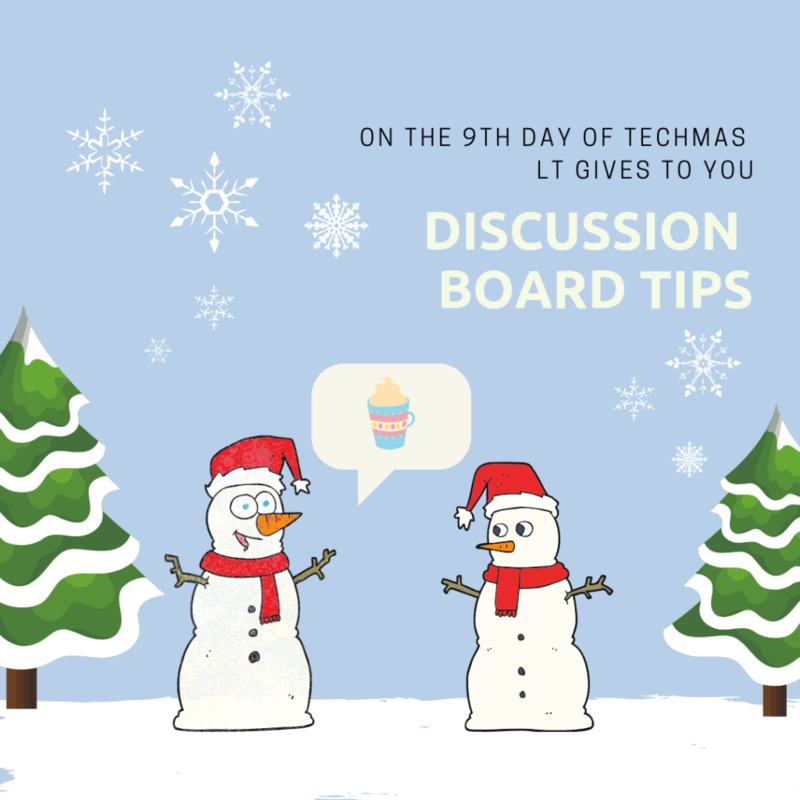 On the ninth day of Techmas, Learning Technologies gives to you: online discussion board tips. Ensure you have a holly jolly discussion by learning the best practices for online discussions. 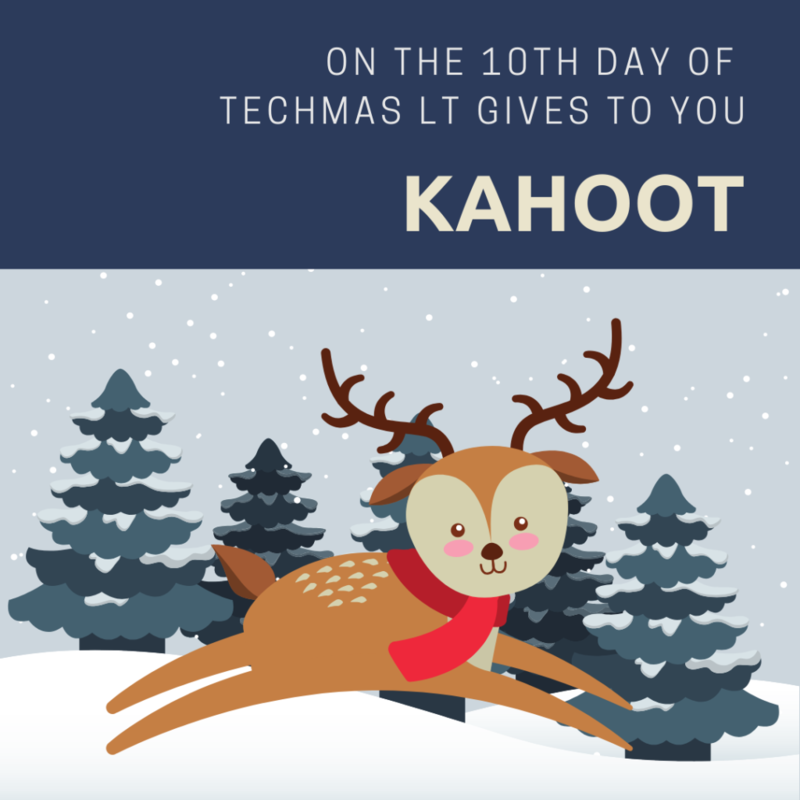 On the tenth day of Techmas, Learning Technologies gives to you: Kahoot. Let everyone join in on your reindeer games by using Kahoot, a game-based learning platform. 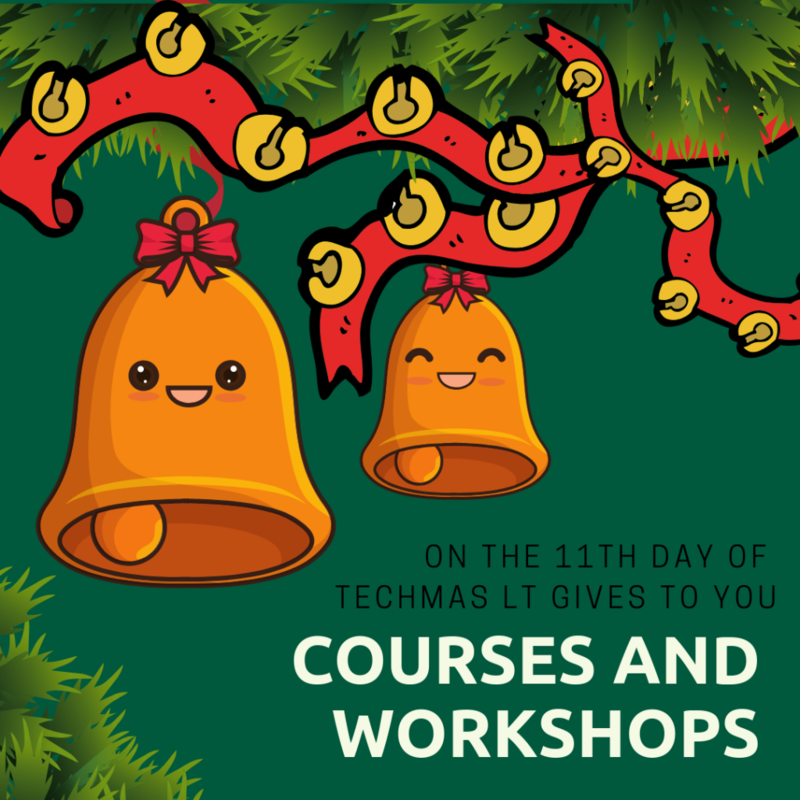 On the eleventh day of Techmas, Learning Technologies gives to you: courses and workshops. Jingle all the way to our courses and workshops. We’ve got some coming up in the next few weeks as well as next term. Check out the calendar— all of our courses are offered through the TLC. 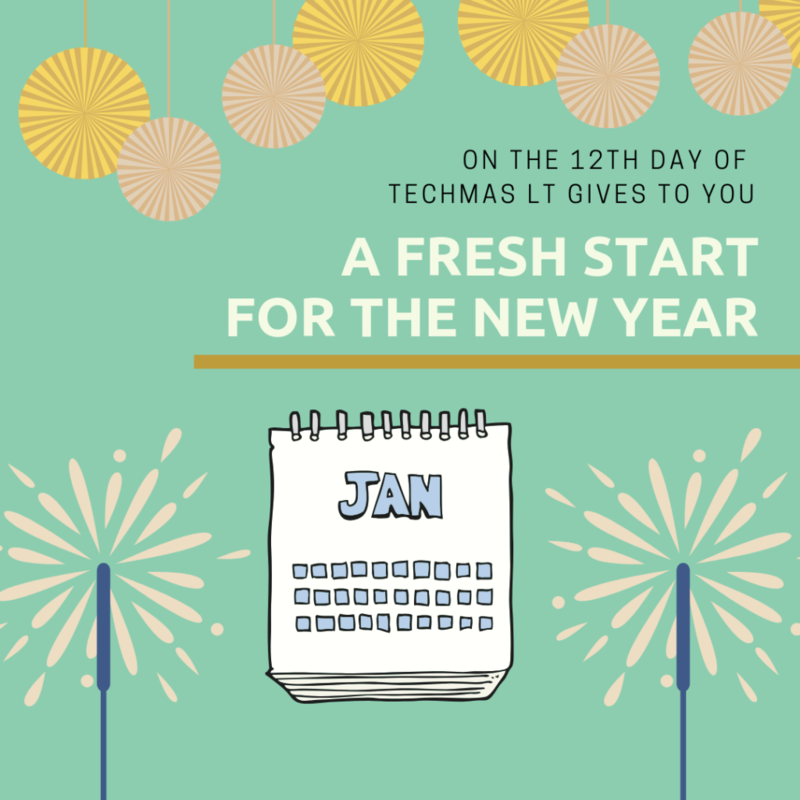 On the twelfth day of Techmas, Learning Technologies gives to you: A fresh start for the new year. Make it your new year’s resolution to start the semester right by using our Getting Started Guides. And that’s a wrap! We hope everyone enjoys a wonderful holiday break! This entry was posted in Events, Quick Tips. Bookmark the permalink.